"Left for Red have created a pretty special and significant album here. A fantastic mix of heavy groove, hard-hitting metal, soft melodic highs, lows and feel-good moments. Yes, it is an album of the year contender!" "These fellas play with so much passion you almost have to scoop it back in when it comes oozing out of your speakers like an overcooked soufflé. With rhythmic cuts so infectious you’ll almost need to bandage them up, Human Complex is full of testosterone-fuelled layers that challenge you not to exercise your neck muscles." "The first time I finished this song I had goosebumps. I had travelled through the darkness of the mind and have decided that there is still good to be found in us. Wow." "overall a stunning album with natural hooks and organic composition, I feel this is going to be their staple album moving forward and i will definitely be catching them live when I can.."
" the Stourbridge outfit has delivered an album which is intriguing, well-crafted and with a stubborn refusal to be pigeon holed or to wear any label." " they’re so adept at churning out cracking tunes – with influences pulled from various metal sub genres – that you can’t help but grin, headbang, and join them for the ride!." "ATKAB is to the music scene today what Kill ‘Em All was for it way back when. It is an album of strength and power, untapped potential brimming on the edge of unmatched performance that promises more from the music then you feel you have any right to deserve – humbling, is the word." "throughout the riffs and thunderous drum work, you cannot but help tap your foot or nod your head in time to the rhythm. A basic acid test for any Metal track!" "this song combines great lyrics with Decoy’s snarls and sneers, whilst backed up by the dual axe riffage of Messrs Foy and Smith and all the time the groove-laden rhythm section of Dan Carter on bass and Rob Hadley on the skins finish off the complete ensemble." "Those who knew the music of Left For Red, knew they they had the capacity to deliver a fantastic record in them, do not doubt that on “All Things Known And Buried” they’ve absolutely killed it." "Left For Red‘s debut album “All Things Known and Buried” is so mature it’d be forgivable to think it was by a band with decades of experience (they just may). Well constructed and enjoyable, it’s not overly self-indulgent but definitely has big enough balls to make you look at this album more than once." 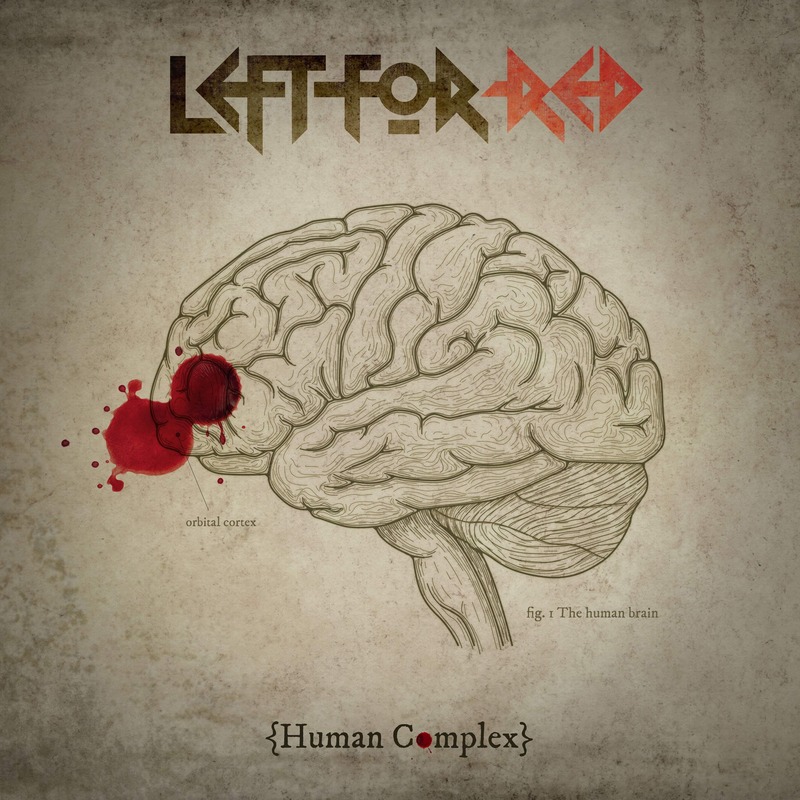 "Left For Red’s strength lies in their unique, progressive take on heavy metal. It’s fair to say that they have an instantly recognisable sound that is all their own"
West Midlands purveyors of modern, hard-rocking metal Left For Red have spent the 2 years since the release of their “Mercy Flight” EP gigging relentlessly across the UK. 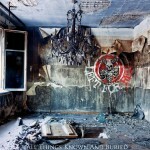 After teasing us with new tracks showcased at their more recent gigs (perhaps most notably, the Birmingham leg of Headbangers’ Balls) they are finally ready to unleash their new material in the form of their first long-player, “All Things Known And Buried”. "A cracking debut Album with a very well thought out theme that is delivered with charm and intellect. Left For Red, get back in the studio, because we need more!"